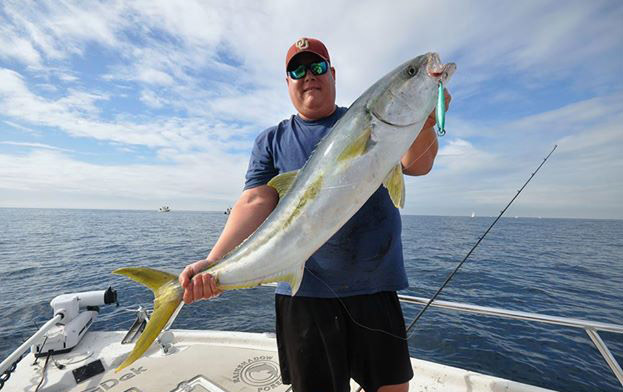 With the unprecedented yellowtail bite we’ve been experiencing, this winter is surely one that fishermen will be talking about for years to come. But what will you have to say about it? Those willing to go out and look might tell the story of the big yellows you had all to yourself in the middle of January. Meanwhile those that follow the fleet will only remember the hundred plus boat gangbangs around yesterday’s hot spots. 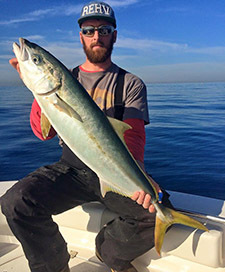 The bottom line is that wintertime yellowtail fishing is about as easy as it gets in Southern California right now. Don’t get me wrong, it’s not a sure thing, but by utilizing these five tips, you’re going to have a pretty damned good shot at putting yellows in the boat. I’ve been saying this over and over again in my weekly column, but these yellows are biting best around the full moon every month and the second best bite has been around the new moon. While I can’t say for certain why they are biting better during those times, a good guess is that it has something with the large tidal movements that occur during these parts of the lunar cycle. Taking it down to a smaller scale, from what I’ve seen and heard it sounds like the fish are biting best and the high or low slack each day. 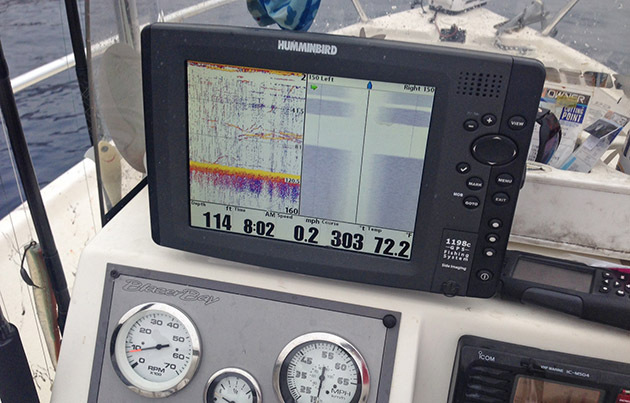 So pay attention to the tide chart when you head out and try to be fishing in a productive area around peaks and lows. 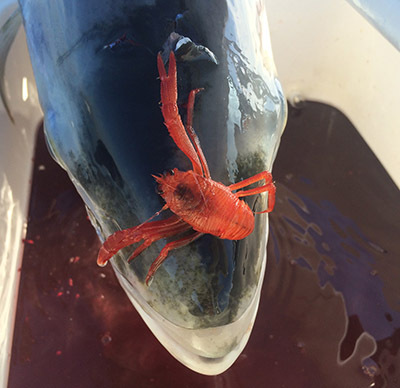 The presence of red crabs has been a good indicator of potential yellowtail activity for the last few weeks. If there are red crabs in the area, the birds will usually help you find them. Look for tight groups of birds sitting on the water. These birds are probably sitting over submerged crabs. If the birds get up and start hop scotching along, while picking things from the water, it means that the crabs are coming to the surface. One reason that crabs come to the surface is because there are yellowtail feeding on them from below. So, if you see birds staying tight and actively picking from the surface, there’s a good chance that there might be feeding yellows below them. Most of the yellows have been coming off of hard bottom areas in 100 to 300-feet of water along the coast. So, any deep-water area of hard bottom has the potential to hold fish. 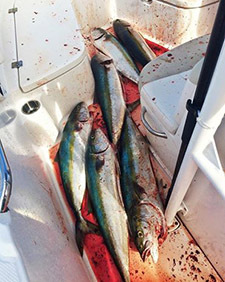 While there were 100 boats fighting over limited schools of fish off Box Canyon over the weekend, the handful of guys that fished out of Long Beach caught plenty of yellowtail while avoiding the crowds. 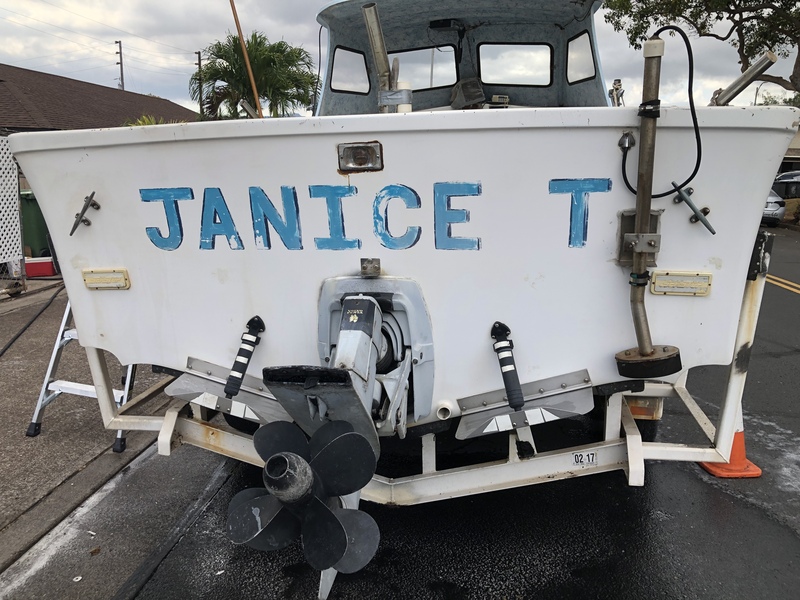 One of the problems that many private boaters have is the fear of looking in areas where there aren’t any other boats. If you fall into that category, you really need to get over that fear and start trusting your instincts. 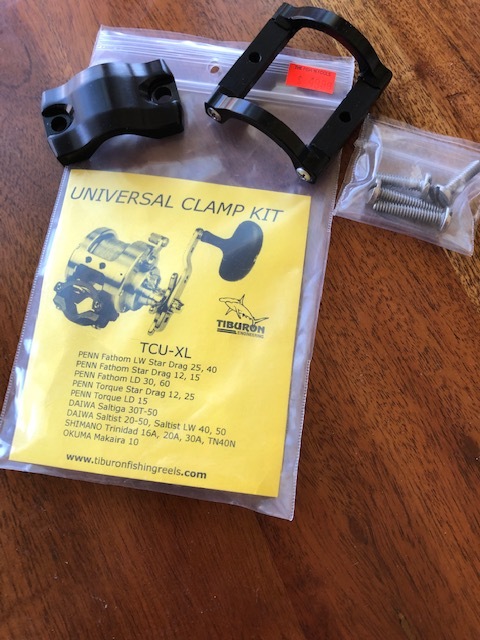 If you were ever going to do it, now is the time. 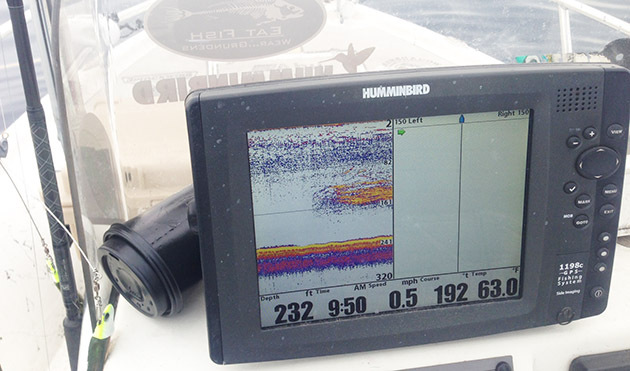 This shot shows what a big school of yellowtail looks like on the meter. 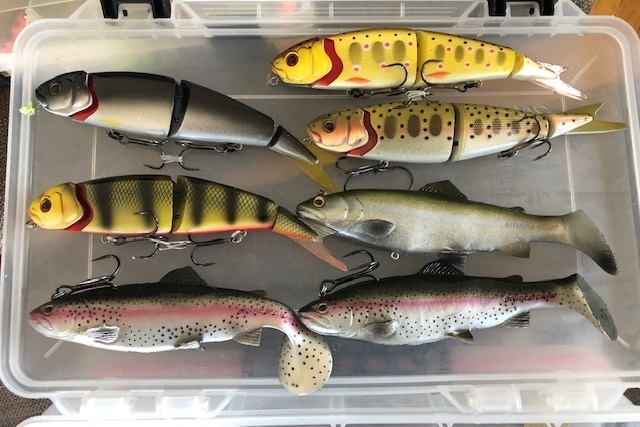 I marked these fish off box canyon a couple weeks ago and while there was a tremendous volume of fish under the boat, we didn’t get a bite. From what I’ve seen this year, when the schools are packed tight on the meter like this one, they haven’t really been biting for me. There’s always an exception to the rule, but these fish are schooled up like they are moving. This shot was taken at Catalina earlier this year but represents what feeding yellowtail look like on the meter. As you can see, the fish are spread out and are moving up and down in the water column. If you mark fish that look like this, especially under birds picking red crab, it’s an almost guaranteed bite right now. Everyone has their own favorite yo-yo tackle. 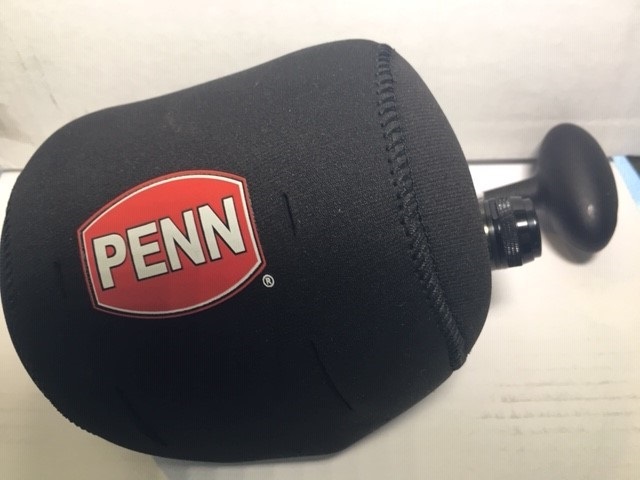 Mine is a Rainshadow RCJB 84H matched with a Penn Torque 30 full of 80-pound spectra and a short 60-pound fluorocarbon leader. Fish what you like, but I’d recommend staying away from the longer rods. 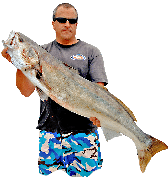 I fished with Chris Oakes a couple weeks ago and he hooked a 25-pound yellow on a 9-foot rod in 260-feet of water and it put a real hurting on him. So, fish a heavy action 7-foot rod if you’ve got one in your quiver. 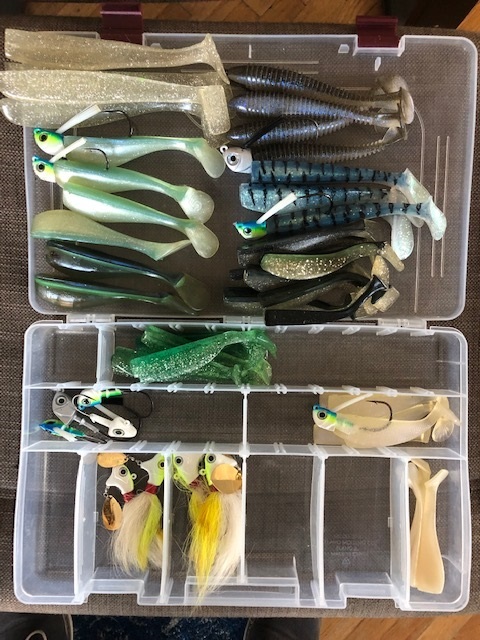 Regarding jigs, the fish don’t seem to be too picky about color, so pick your favorite, it’s more important to focus on the size of the jig. 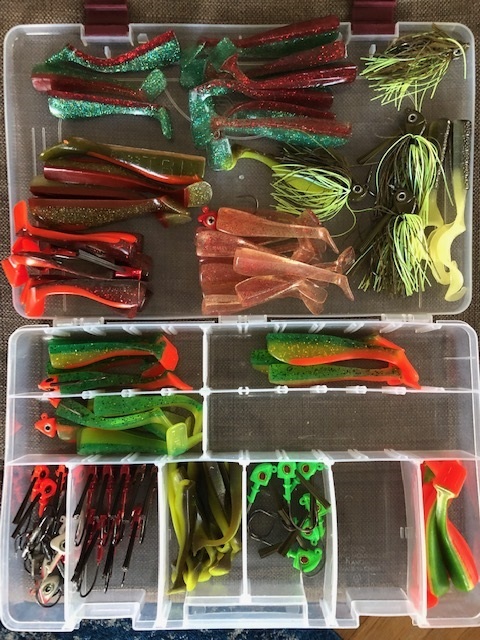 Basically, the deeper you fish, the bigger (and heavier) the jig. 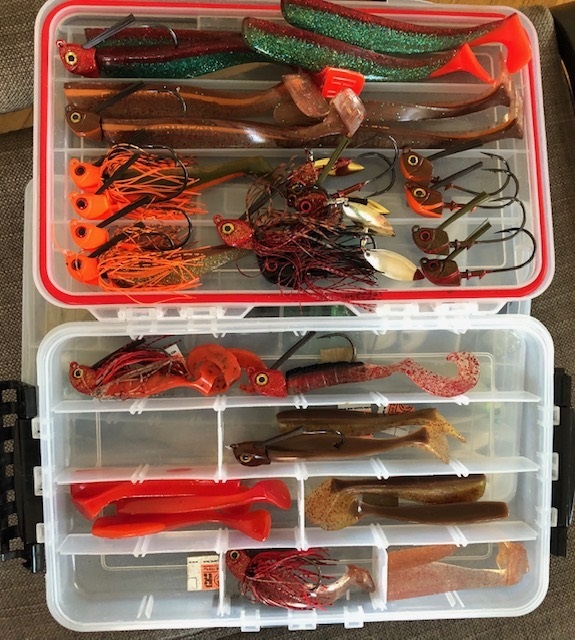 While a Tady 9 works great in 100-feet of water, but drop that same jig to 300-feet and you’re going to waste a lot of fishing time waiting for it to sink. It’s easy to go where you heard the fish bit yesterday. But remember, if you heard about it then a lot of other people probably did too. 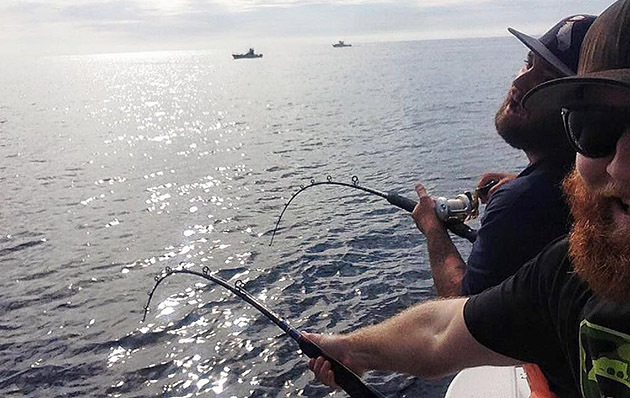 Sure you can run out and catch fish on the second or third day of a bite, but as time goes on more and more boats are going to be running to that area and eventually it just turns into an un-fun gangbang. A better option is to strike out on your own and find fish that aren’t being hammered by a ton of boats. Trust me, it’s easier than it seems right now, the coast is absolutely foul with big yellows. If you’re unsure of where to try, just look back over the reports from this fall and winter and take a look at where the fish were biting. There’s a pretty good chance that there will be biting fish on those spots again sometime in the near future. So take the chance and go out looking, you might end up with a good story to tell ten years from now when someone brings up the winter yellowtail bite of 2015.